Are you one of the 12% driven abroad when the Olympics start? 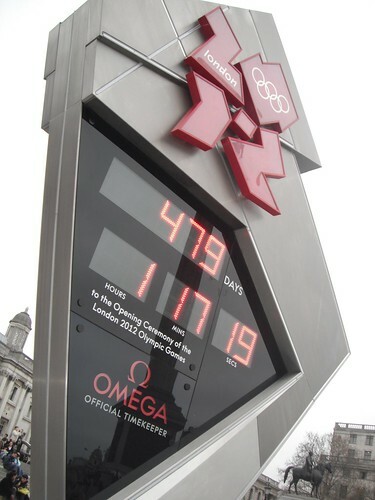 Over 1 in 10 Brits will be going abroad on holiday specifically to avoid the London 2012 Olympics. 12% of the 2,018 adults asked in the ABTA commissioned poll, said they would b going overseas between 27th July and 12th August to get away from the games. Whereas 9% said they were looking for a holidays in the UK that was Olympics free. Of those who were staying put, 30% said that they ignore the Games completely, whereas 11% are planning to take time off to watch the Games on TV, and 5% will take time off to attend events. 31% said that although they will not take time off during the events, they are excited about them nonetheless. The research was conducted by Arkenford Ltd, which specialises in tourism and leisure market research. So, will you be staying for the Olympics, going away, or ignoring them? Tell us your thoughts in the comments section below. This entry was posted on January 31, 2012, 8:15 pm and is filed under Events, family days out, Fun, London, Olympics, reports, Surveys. You can follow any responses to this entry through RSS 2.0. You can leave a response, or trackback from your own site.